For the eighth straight year, Sonoma State University’s Model United Nations team attended the National Model United Nations Conference in New York and came back with multiple awards. Competing against hundreds of other universities from across the country, Sonoma State won the Distinguished Delegation award, indicating the university’s performance was in the top 25 percent of attending schools. The group earned a total of five awards including Best Position Paper in General Assembly Third Committee, three Outstanding Delegate awards and a Distinguished Delegation award. With a record 32 Sonoma State students participating in this year’s conference, most of them represented Iran, while two others served as China on the security council. According to Cynthia Boaz, the faculty advisor for the university’s Model UN, the greatest challenge the team faced this year was the amount of first time participants that attended the conference, requiring their training to start from ground zero. Out of the 32 Sonoma State attendees, only 10 had ever been to NMUN. Taking place from March 18-22, students had the opportunity to attend multiple seminars regarding the media’s role in international affairs, the refugee crisis and other topics concerning international relations. The student’s participation in all events leading up to the conference is credited to many hours of preparation beforehand. However, according to Boaz, there is still improvements that can be made for future competitions, starting with maintaining Model UN veterans to help lead the new comers. There is a course and club component for students wishing to join Model UN. Offered every Spring, applications for the course are accepted in October the preceding year. Students from all majors and programs are welcome, and any student interested should contact Professor Boaz. A group of 24 Sonoma State University students earned a third place delegation award at the National Model United Nations Conference last week in New York City. 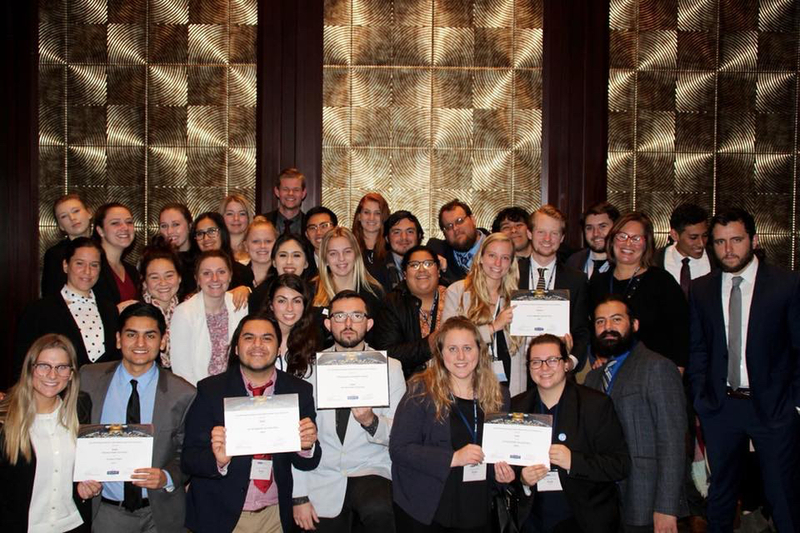 (New York City) — After eight straight years of winning multiple awards at the annual National Model United Nations Conference, Sonoma State University’s Model U.N. students this year took home top honors for the first time. Sonoma State University hosts its first DREAMer Conference on September 19, featuring a keynote speech from DREAM Act researcher and Claremont University doctoral student Iliana Perez.